It’s no secret around these parts that I’m rather partial to a print or three – occasionally contemporaneously – let alone a pop of colour. And while I will always wear and advocate for All Of The Above, a girl also needs the “right” pieces to set off said prints and colours. 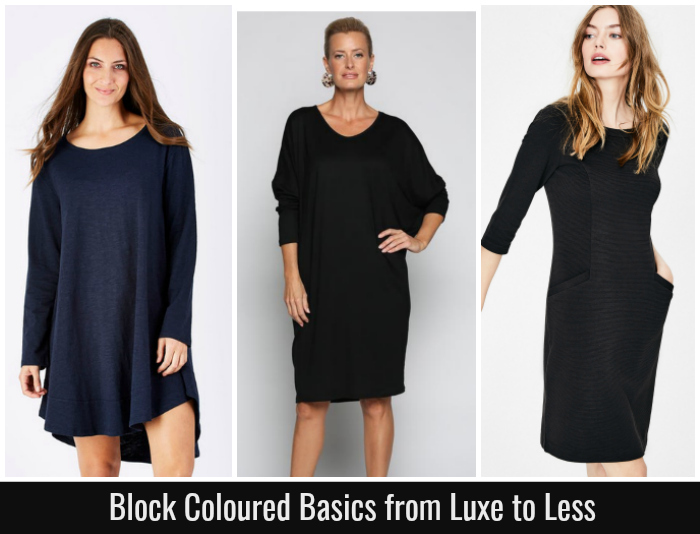 For me, those “right” pieces are great block coloured basics. Plain but well cut tops, bottoms and frocks that pair with my favourite statement pieces. So in this post, I’m sharing some of my favourite block coloured finds- the pieces I wear back with all my printed and coloured tops, jackets, coats, skirts and trousers over the cooler months. Even if you have a more neutral wardrobe and tend to veer away from prints or bold colour, I’m sure you’ll find that this lot work well with all your neutral faves just as well. They are also great canvasses on which to showcase your favourite jewellery and/or accessories. This first selection are the tops and bottoms. For the tops, simply pair with a printed/coloured skirt or trousers or under a printed/coloured jacket/coat. 8. Richmond Pencil Skirt, $130 from Boden. The skivvy – in cooler climes like Melbourne, we sometimes need to maximise our coverage. I have merino and jersey roll neck knits (4) and tops that fit this brief. Wear under ponchos, knits and your favourite coat or jacket or pair with an a-line skirt for a retro throwback. In the bottoms department, we all tend to favour a particular style or fit which flatters and works back with other pieces in our wardrobe. Wide Legged Pants – they do tend to polarise people but I think it’s a matter of trying on a few pairs and working out which style suits you. I find the higher waisted styles are most flattering on me and while I tend to opt for printed styles, I love the idea of this (7) classic black pair for work worn with a tucked in blouse or shirt. A Pencil Skirt – maybe I’m nostalgic for my old corporate days but I do love a simple tailored black pencil skirt and used to get truckloads of wear out of mine, wearing them with different knits and tops all year round. This style (8) also has a co-ordinating jacket if you’re after a suit. 3. Jasmine Ottoman Dress, $130 from Boden. It was a challenge to narrow down the block coloured dresses to only three but I think these three styles each offer much in the way of versatility. T-shirt style dresses like (1) are a favourite of mine and can be worn with trainers all year round – add leggings if it’s cold. A jersey dress like (2) is the most versatile style of all, and can be dressed up easily with a heel, bright lip, scarf and/or statement jewellery or down with sandals, trainers and/or a denim jacket. This is a great option if you work from home or part time and need pieces that work seamlessly across both work and casual outfits. If you’re looking for a warmer alternative to (1) or (2), Boden’s ottoman fabric is a ribbed, medium weight cotton jersey that will not only keep you warm but it also has enough stretch and structure to be flattering. These dresses always come in several styles and many colours, so it’s well worth checking out the range – search for “ottoman dress” at Boden – if you’re looking for a versatile but warm option. 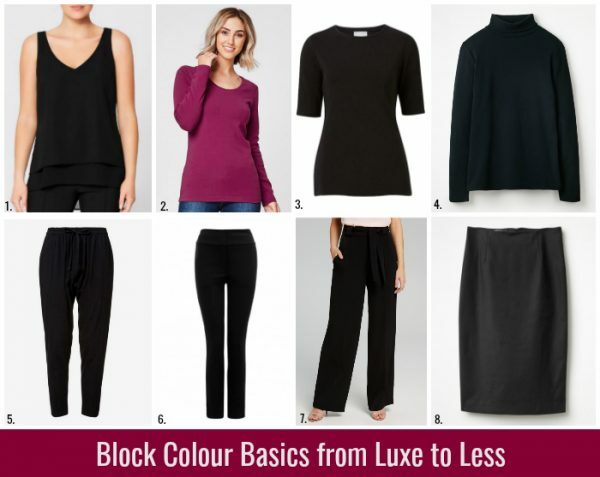 So over to you, where do you find your Must Have, Go To, Every Day block coloured basics?